“Over the year 2018 our company remained focused on keeping quality and services at the highest level in order to maintain steady, sustainable growth and strengthen cooperation with our trusted business partners” – said Rafal Bury, member of the Board of Directors at Targban. 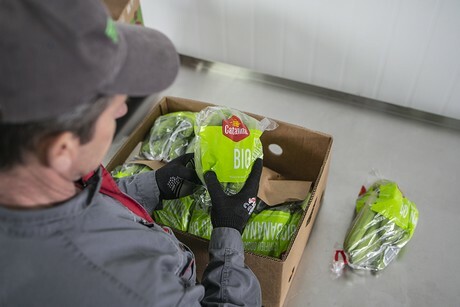 "We kept developing our direct banana imports from Ecuador, working even closer with the growers and making sure Catalina® remains the top quality brand in the Polish market." The plan for 2019 is to double the volume of organic bananas. Introduced in 2017, Catalina® BIO managed to gain popularity among consumers and also full trust of their business partners. Demand for organic products and awareness of organic food in general grows rapidly in Poland: “We believe that listening to consumers’ needs will point us in the right direction when it comes to further developing our portfolio of products”, shared Rafal. This is one of the reasons why company initiated the organic certification process for its second ripening facility this year. “Observing a strong upward trend in certified food market and thanks to a rapid growth of independent specialty shops and seeing how actively big retail invests in organic products we know we’re heading in the right direction.” concluded Rafal.